On this page, you will find different ways to give to the sanctuary with activities you are already doing! All you have to do is sign up and select Full Circle for your contribution! If you would rather donate to us directly, go to our Donate page. 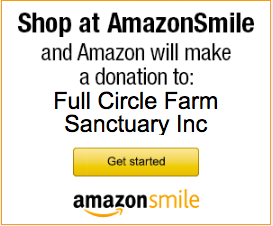 Amazon will donate 0.5% of the price of your eligible AmazonSmile purchases to Full Circle Farm Sanctuary whenever you shop on AmazonSmile. 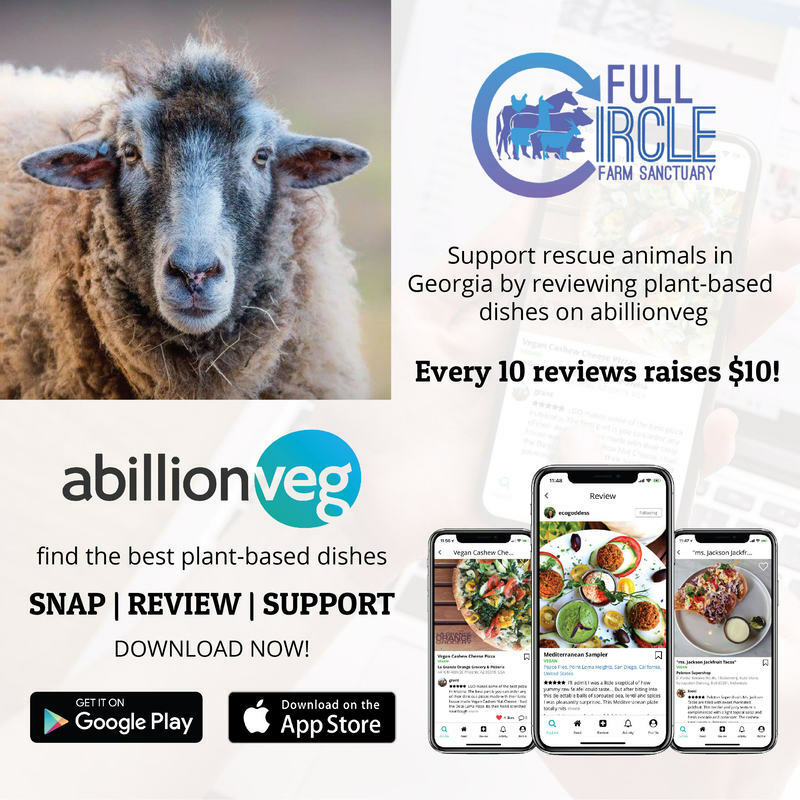 Download the app, choose Full Circle Farm Sanctuary, and just by submitting reviews for your vegan meals, you will give back to FCFS! Support the Sanctuary every time you shop! Shop online at iGive.com, and up to 26% of each purchase is donated to your favorite cause. It's free for you and your cause. And with 1399 participating stores, there's something for everyone in the family. eBay Giving Works enables sellers to donate a portion of their sales and buyers to shop while supporting their favorite charities. If you are an eBay user, please “favorite” us today! Full Circle Farm Sanctuary will receive 15% of each enabled Bundle purchase, 5% for each enabled Store purchase, and $10 for every new Humble Monthly subscriber (some exclusions apply).